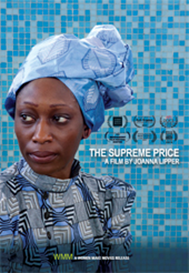 The Supreme Price (recommended): This documentary about Kudirat Abiola, who took over as president of Nigeria when her husband was imprisoned by the military and was assassinated in 1996, is an interesting and worthwhile chronicle of a country where free elections and women’s rights have never been guaranteed. Now playing at the Quad Cinema. Read my review from yesterday. Chef (mixed bag): This appetizing dramedy from director-star Jon Favreau should be a lot of fun, but there’s something about the recipe that just doesn’t feel completely natural or believable. It’s hardly terrible, but it could have been much better. 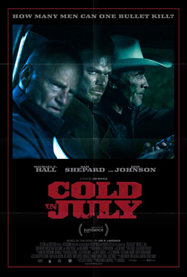 Cold in July (highly recommended): This Sundance thriller is a dark, brooding showcase for Michael C. Hall to define his post-“Dexter” career with a role as a mullet-wearing Texan drawn into a disturbing but immensely watchable world. Not for the faint of heart. Hellion (highly recommended): This film, which played at the Sundance Film Festival this past year, is a deeply engaging and strong story of a young boy headed down the wrong track, with superb child performances from Josh Wiggins and Deke Garner and a supporting turn from Aaron Paul.